So not terribly long ago, I posted that I was going to start building a card game. That work has begun. In fact, a large portion of the work has been completed. Here’s a little update to explain where we’re at. The kindly (and way smart) Chad has been good enough to join me on the development of the game. In fact, he’s done the lion’s share of the heavy lifting when it comes to game mechanics. Trust me when I say that’s very much for the best. You don’t want Yours Truly handling that side of things. At least not most of it. We’re developing what could be considered the ‘first edition’ of the game. Two ‘factions’ with a possible third faction as a sort of expansion pack and a bundle of Treasure cards. The majority of the infrastructure for the first two factions and the related treasures are done – at least in a rudimentary fashion. We definitely need to come up with some more Treasure cards and I need to do… well, all of the art. So what does all this mean? We’re nearly ready for beta testers. We’ll use whatever art we have to create a beta version for those who would be interested in testing out the game. If you’re interested and you haven’t already, please sign up to be a beta tester at the original post about the game. And lastly, current factions are Goblins and Mages. Who/what would you suggest we create as the third faction? Leave us your thoughts in the comments below. 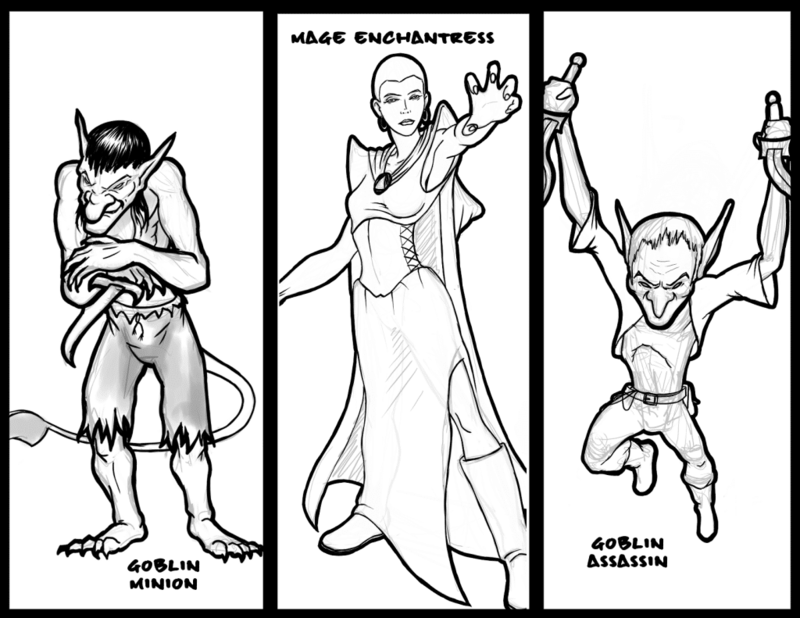 Tagged card art, Goblin Assassin, Goblin Minion, goblins, Mage Enchantress, mages, relics. Bookmark the permalink.